Turtle Beach’s seasoned executive leadership team is led by Juergen Stark, who became the company’s CEO in late 2012. Under Stark’s leadership Turtle Beach has expanded its operations, distribution footprint, and overall scope of business to become one of the most recognizable brands in the industry, and the leading gaming headset and audio accessory brand in the world. In addition to Mr. Stark, Turtle Beach’s executive leadership team has extensive experience in consumer and commercial product design, development and distribution, and marketing and sales, with robust backgrounds across the gaming, audio, entertainment, and commercial industries. 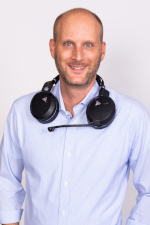 Juergen is the CEO of Turtle Beach Corporation, an innovative, leading-edge audio tech company that designs and markets premium audio peripherals under the Turtle Beach brand, and pioneers directed audio solutions under the HyperSound brand. Juergen led Turtle Beach’s reverse merger with Parametric Sound in January 2014, and previously served as the Chief Operating Officer for Motorola Mobility Holdings, Inc.’s $9 Billion Mobile Devices business. Prior to his role as COO, Juergen ran multiple hardware and software businesses in the consumer, enterprise, and government sectors for Motorola. Before Motorola, Juergen was CEO of Centerpost Corporation, a technology company he co-founded. 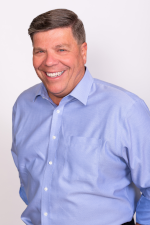 John is a seasoned leader who has held CFO roles within a number of publicly traded companies, most recently as Executive Vice President and Chief Financial Officer at Dialogic, Inc., a $160 million global telecom network appliance and software company. John will be responsible for all aspects of our financial strategy and planning as the company continues to evolve and grow. As General Counsel for Turtle Beach, Megan applies her 25 years of legal experience to oversee all legal matters. Prior to joining Turtle Beach, Megan spent five years as in-house counsel for I-Flow, LLC, a Kimberly-Clark Health Care Company, where she oversaw all litigation and advised on other legal matters. 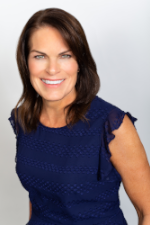 Additionally, Megan spent 13 years working with California-based Morris Polich & Purdy, LLP, initially as a litigation associate, and then as partner. 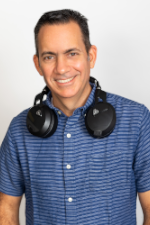 As CTO and VP of Development, Joe is responsible for advancing the company’s existing technologies and developing new, cutting-edge products designed to deliver the best gaming audio experience. 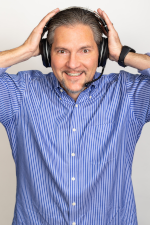 Having spent over 20 years in the consumer electronics and audio industries, including 12 years developing audio products with Plantronics and additional roles with GoPro and Creative Labs, Joe has led global development teams and successfully brought numerous products to market throughout his career. Joe holds a degree in Mechanical Engineering from University of Illinois at Urbana-Champaign, as well as a degree in Physics from North Central College. 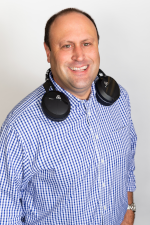 Cris Keirn drives the growth and development of Turtle Beach’s headset business, overseeing all consumer retail and sales account management. Cris was a key contributor in the transformation of Turtle Beach’s product portfolio, most recently as Vice-President of Business Planning and Strategy. Cris has also led Turtle Beach’s sales operations, customer care and market analytics teams. 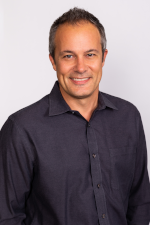 Prior to joining Turtle Beach, Cris held leadership positions over a 17-year span at Motorola across product management, operations, quality and customer relations. Andrew Lilien has 20-plus years of brand, consumer and retail marketing experience. During the past five years with Turtle Beach he’s developed and launched numerous innovative marketing programs, including the recent completion of producing and placing over 20,000 interactive displays globally that increase consumer product trial to drive sell-through at retail. 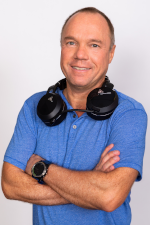 As Turtle Beach’s Vice President of Marketing, Andrew oversees all retail and consumer facing initiatives, including new product introductions and launches; media campaign planning and execution; brand, trade and digital marketing; communications, social media and events. Prior to joining Turtle Beach Andrew worked at ESPN, Fleer Trading Cards and National Media Group – a leading sports marketing agency, and has also consulted for Sports Illustrated Kids and Parents Magazine. Andrew holds a Bachelor’s degree in Journalism from The Ohio State University. Matt Seymour leads the development of Turtle Beach's industry-leading portfolio of gaming headsets. With more than 20 years' experience launching breakthrough consumer electronics, Matt aligns Turtle Beach’s goals with industry trends and market needs to create new and innovative products with features that gamers want. Prior to joining Turtle Beach, Matt held a variety of roles at Sony Electronics in product management, product marketing, partner marketing, and business development. Scott Rankin joined Turtle Beach in 2005 just as the company set out to revolutionize console multiplayer gaming by launching the first ever console gaming headsets. With more than 20 years’ Supply Chain experience, Scott has helped create and maintain a highly efficient supply chain network at Turtle Beach, and he’s primarily focused on product fulfillment and transportation – making sure Turtle Beach gaming headsets are shipped out and delivered on-time to our customers and distributors around the world. Jose Rosado joined Turtle Beach in 2014 and leads the company’s world class global Operations team. Jose has over 22 years of experience across the value chain working at several companies, including Motorola, Cisco and HP, in different roles such as sourcing, planning, IT systems architecture and outsource manufacturing.